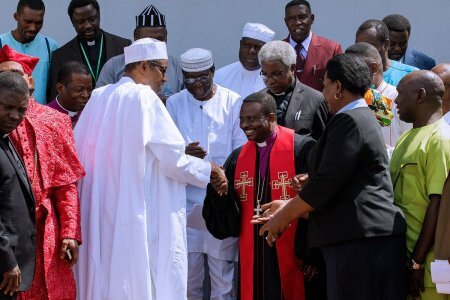 The Christian Association of Nigeria (CAN) has asked President Muhammadu Buhari to exit Nigeria from all religious organisations. The CAN President, Reverend Samson Ayokunle, made the demand on Friday when he led a delegation from the association to the Presidential Villa in Abuja, the Federal Capital Territory. Reverend Ayokunle, who briefed State House correspondents after the team met with President Muhammadu Buhari, said they asked the Federal Government to tackle herdsmen attacks in the country. Ayokunle, however, said they were humbled by the President’s frankness and would expect him to act now to preserve the sanctity of the country. The meeting was also attended by Vice President Yemi Osinbajo, and the National Security Adviser, Retired Major General Babagana Monguno, among other cabinet members.